A proposed, controversial $4 million veterans center in Ho’olehua is moving forward, amid high emotions among veterans and confusion about the project’s origins. 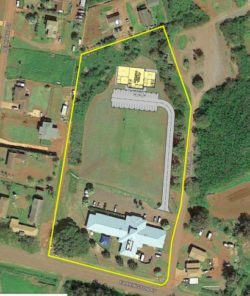 The proposed 7,000 square foot building to be located behind Lanikeha Community Center will house Veterans Affairs services, as well as a meeting room, classroom and office spaces, a kitchen and covered outdoor gathering area and serve as a joint facility with the Dept. of Hawaiian Homelands. 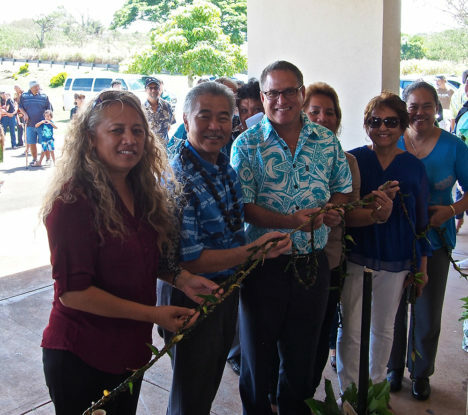 With a mission to help homestead farmers reach their full potential, Lanikeha Community Center in Ho’olehua has reopened its doors with renovations that represent a dream. After more than three years in process, the Molokai Community Plan update will be further delayed, according to County Council staff. The Maui County Council had until the end of this month to adopt an updated version of the 2001 Molokai Community Plan but the draft still hasn’t been discussed by the whole council. A lack of quorum by members of the council’s Planning Committee has caused recent meetings to be cancelled, said Susan Foley, executive assistant to Planning Committee Chair Kelly King. Now, the Council has extend the finalization deadline to September, said Molokai Councilmember Stacy Helm Crivello. Last month, a young female Hawaiian monk seal was killed at Kawa’aloa Bay at Mo’omomi, according to the National Oceanic and Atmospheric Administration (NOAA). The yearling seal, identified as RJ42, was found dead by community members on May 31. An investigation is underway so details of the cause of death cannot be released, but a post-mortem examination conducted by NOAA on June 1 indicated it was an intentional act. 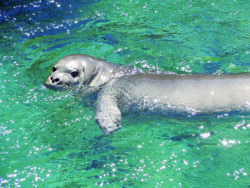 “[The] injuries were purposely inflicted by a person(s) that caused a significant amount of trauma resulting in the monk seal’s death,” a NOAA statement said. The Makakupa’ia Bridge, located on Kamehameha V Highway four miles east of Kaunakakai, is slated for a $6 million replacement starting in 2020. The project is estimated to last 18 to 24 months and will involve the construction of a temporary bypass road, demolition of the existing bridge and construction of the new bridge. The existing bridge, built is 1940, no longer meets current National Bridge Inspection Standards, meaning replacement is required. The plan that will guide Molokai’s next 20 years is nearing completion after a lengthy update process — and residents had a lot to say last week. The Molokai Island Community Plan Update is slated for finalization and adoption by the Maui County Council at the end of June. The Council’s Planning Committee has made revisions to the draft plan, and Planning Committee Chair Kelly King visited Molokai last Monday to talk to the community about the plan’s updates — the latest in a series of meetings she and Molokai Councilmember Stacy Crivello have held over the last months. Maui County Councilmember Kelly King, chair of the Council’s Planning Committee, will present the proposed final draft of the Molokai Community Plan on Molokai from 5-7 p.m., Monday May 7 at the Mitchell Pauole Center. This is the latest in a series of informal meetings to gather with community members who will directly be impacted by the update to the existing 2001 Molokai Community Plan. The date extension passed by the Council late last year states June 30 as the deadline for final passage of the Plan. Throughout the process, community input was a driving force.